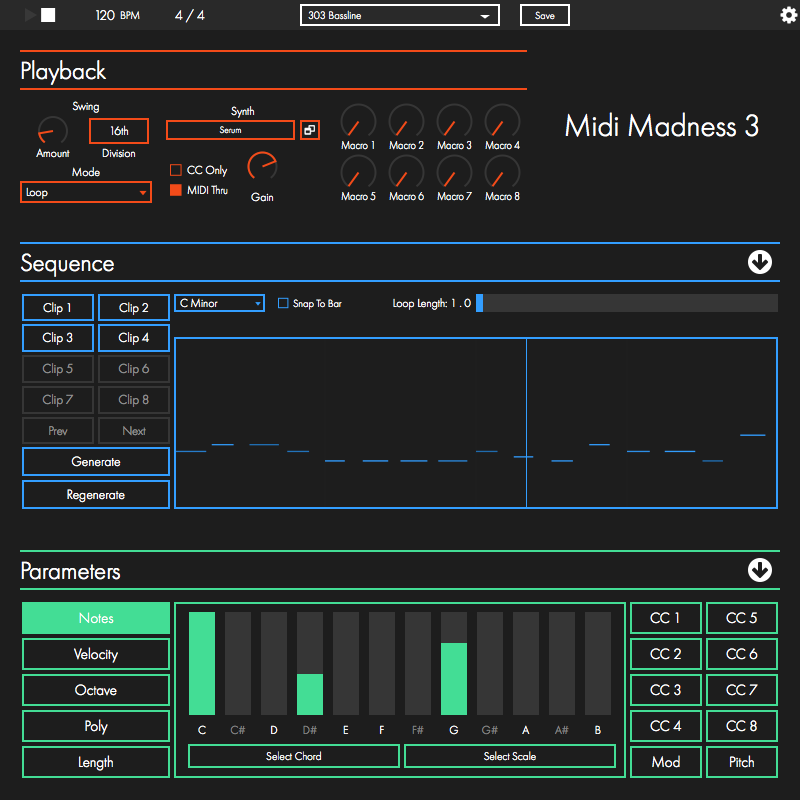 Introducing Midi Madness 3 - The latest version of the world-class MIDI generator. Midi Madness 3 can create an unlimited number of melodies using a simple set of probability weightings. 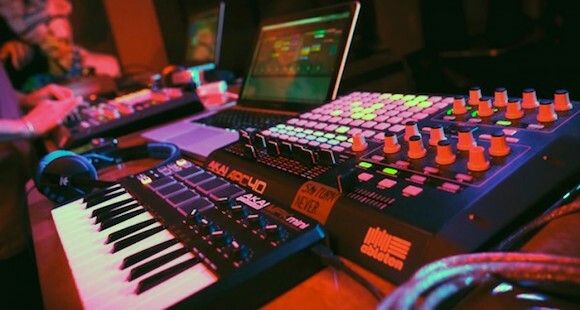 Simply set some parameters, such as a chord sequence and some MIDI controllers, and let Midi Madness go wild, creating melodies, chord progressions and sequences. Midi Madness lets you create an unlimited amount of sequences. A simple 2-beat techno bassline? No problem. A 16-bar epic trance chord sequence? Easy. Crazy evolving arpeggios? Simple. 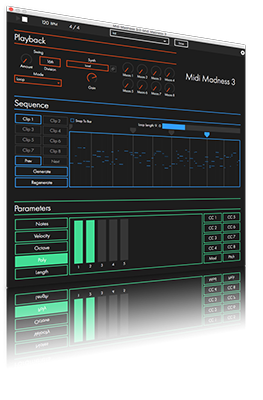 Along side generating MIDI data, Midi Madness 3 can now let you host your own synths. 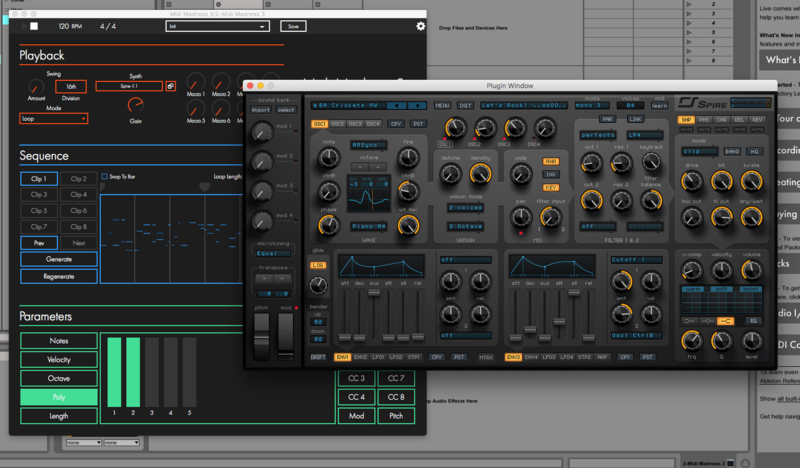 Gone are the days of routing from track to track; simply load up your VST synth, and start playing straight away. Midi Madness 3 includes brand new playback modes - freestyle and trigger. Freestyle gives Midi Madness its own mind, and sets it off playing a unique sequence. Trigger mode lets you use incoming MIDI as a trigger. Simply bash your piano keys, and Midi Madness will make all the notes fit the current chord sequence.